I have relaunched my Patreon page. Feel free to visit. 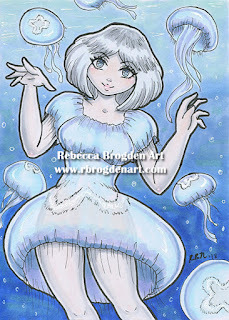 For $3 a month, you gain access to all my ACEOs without watermarks. More rewards will be added shortly. Becoming a patron will help pay for art supplies and help me to keep doing what I love doing. Thank you. On another note, after about 13 years, I have closed my Deviant Art account. I never check it anyways due to the fact they raised their premiums and even if you are premium, there wasn't any guarantee to get more traffic to your dA page. With that said, people who would message me on that site were unable to get in contact with me so I went ahead and closed it. I'm a little sad, but it is only a matter of time before that site closes for good. Deviant Art had its moments, but it's Hay Day is over.